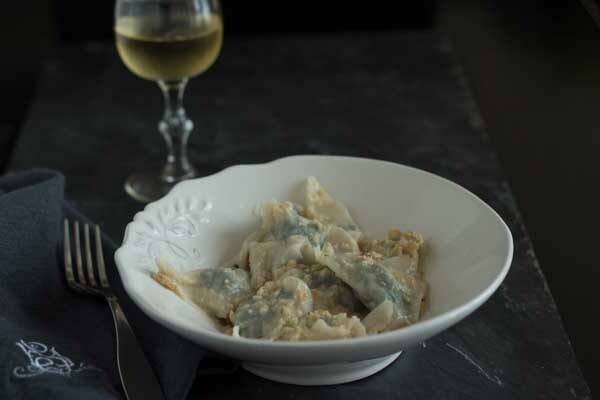 Pansoti are a quintessentially Ligurian dish traditionally paired with salsa alle noci (walnut sauce). 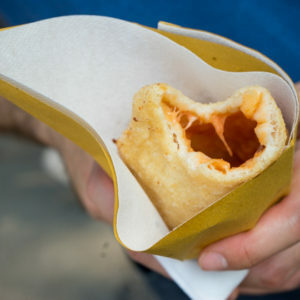 It can also be served with olive oil and Parmigiano-Reggiano cheese. 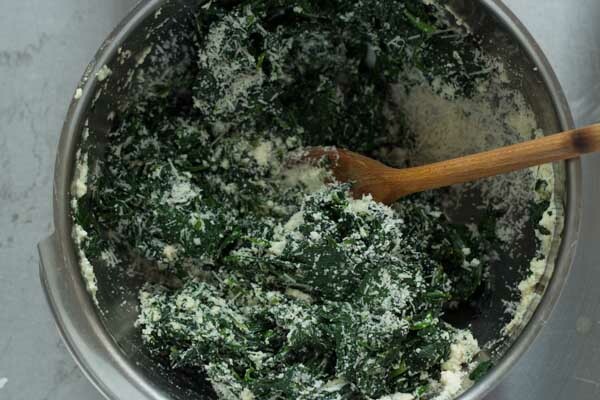 To make the filling, wash the greens, leaving lots of the washing water in with the leaves. Remove any stems with a paring knife. Heat a large saute pan over medium high heat. When hot, add ⅓ of the greens (with washing water still on) with 2 grams of salt to the pan. Cover the greens with a lid until cooked (about 5 minutes). Meanwhile fit a wire mesh strainer over a bowl or a colander over a bowl. 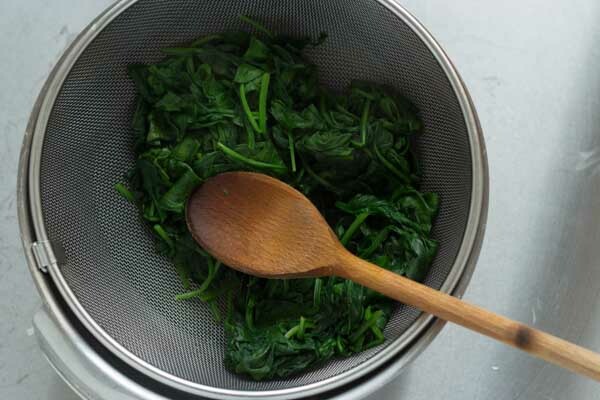 With a slotted spoon remove the cooked greens to the strainer. 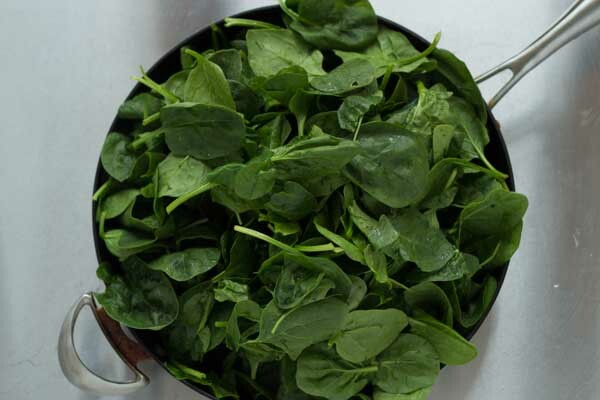 Add another ⅓ of greens to the saute pan with another 2 grams of salt. 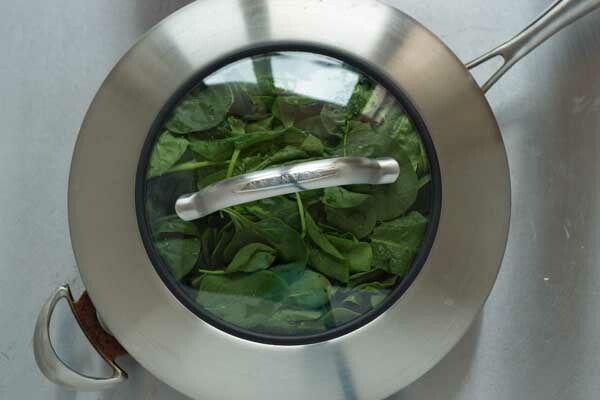 Cover the spinach with a lid until cooked (about 5 minutes). Add this to the strainer with the first batch of greens. Repeat with the remaining greens. Reserve the cooking liquid left in the saute pan. Using the back of a wooden spoon, press the greens against the wire mesh of the strainer to release as much liquid as possible. Add any liquid to the liquid reserved from the sauté pan. There are lots of nutrients in this liquid. 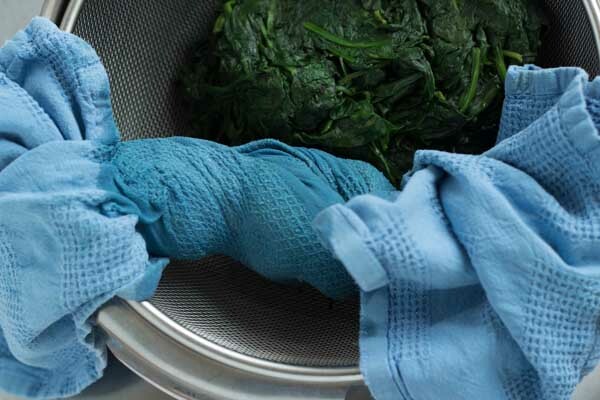 When the greens are cool enough to handle, place the greens in a kitchen cloth (one which you are not worried about staining) and wring out as much liquid as possible. The mixture should be as dry as possible. 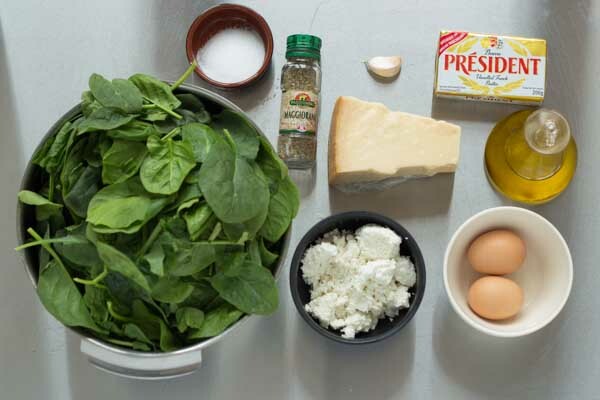 Place the dried greens in a large bowl with the eggs, ricotta, garlic, 50 grams Parmigiano-Reggiano cheese, olive oil and marjoram and mix well with a wooden spoon. 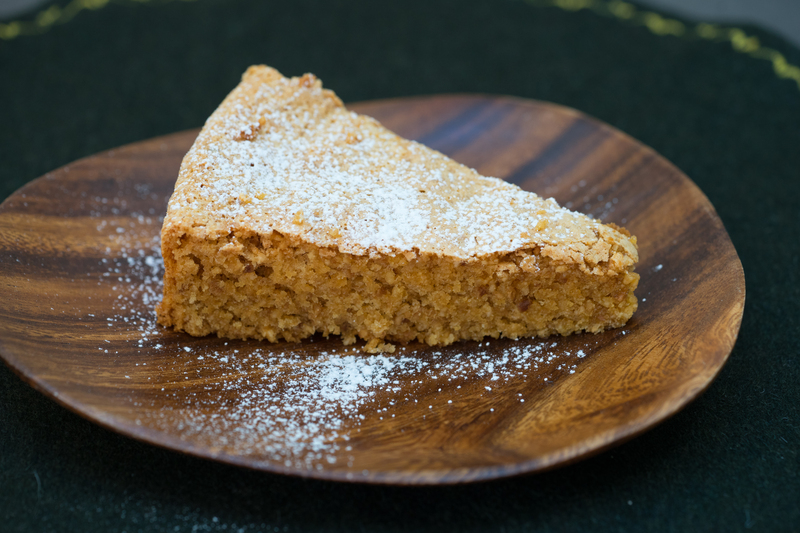 Sprinkle a baking sheet with flour and set aside. 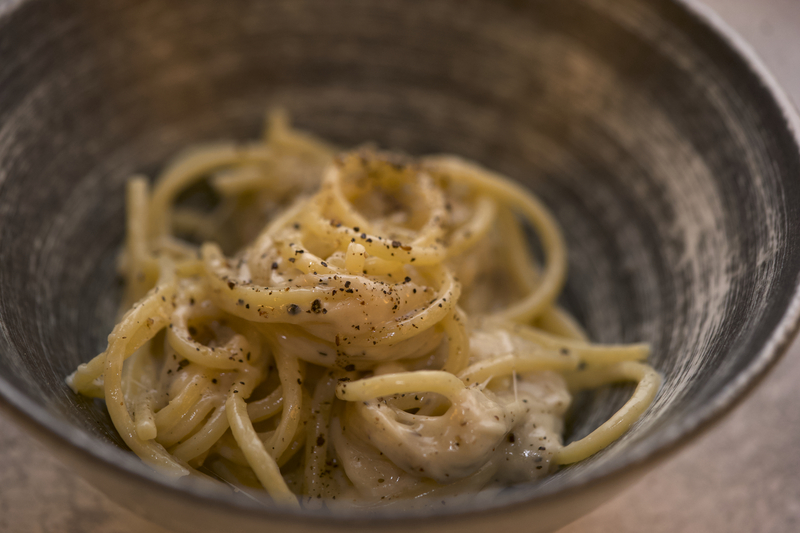 Roll out the pasta as per the recipe to the second to thinnest setting. Cut the pasta sheets into 8 cm squares. 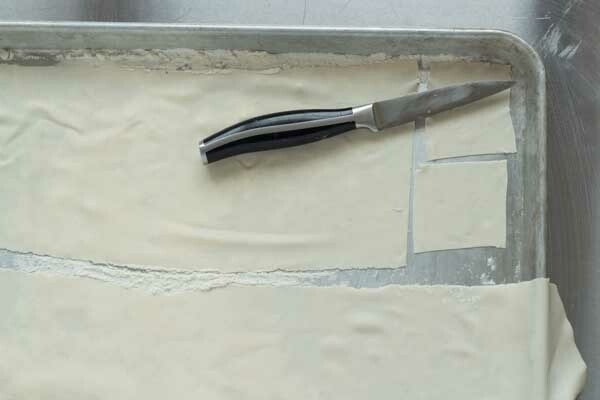 Place half a teaspoon of filling in the centre of the square and fold over so the corners meet to form a triangle. 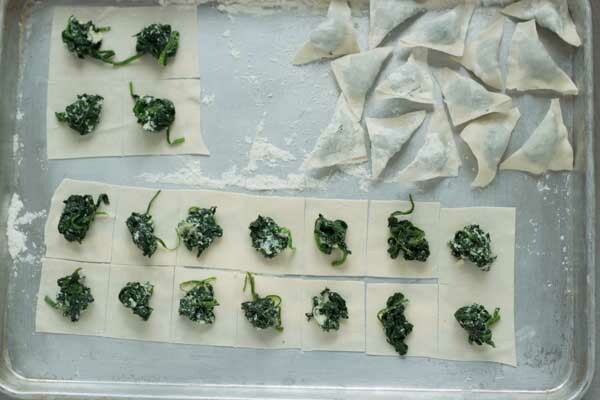 If the pasta will not stay closed, dip a finger into the reserved cooking water from the greens to wet the edges of the pasta and pinch the edges together. Place the pasta on the prepared baking sheet. Pour water into a wide pot so that the water is 13 cm deep. Add 15 grams of salt per 2 litres of water and bring the water to boil. Add the pasta to the pot in batches so they are not overcrowded. Reduce the heat to low as the water should not boil as it will burst the pasta. Keep the water at a simmer during the cooking. Use a slotted spoon to remove the pasta once they float (3 to 5 minutes). 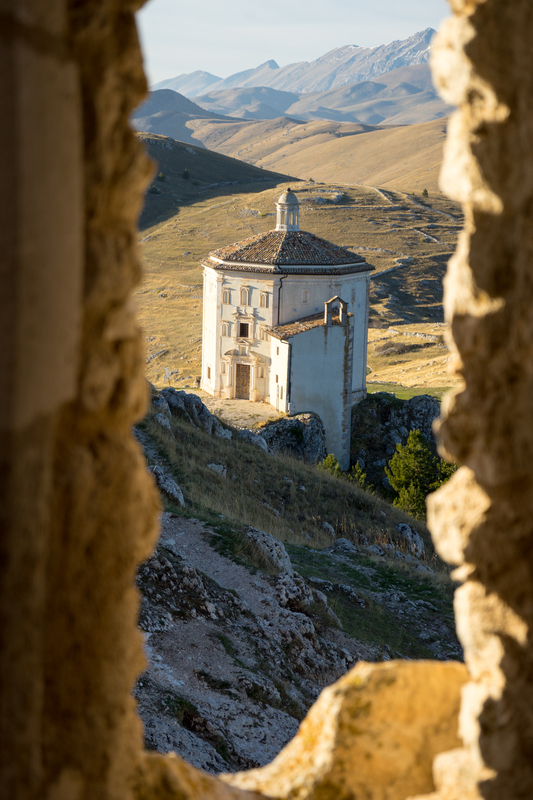 Place the 8 to 10 pansoti in a serving dish and toss gently with 15 gms of the thinly cut butter, 20 gms of Parmigiano-Reggiano cheese, and 4-5 spoons of the salsa alle noci (walnut sauce) until the butter has melted and the pansoti are well coated. Repeat for the rest of the servings and serve immediately.